Three Vietnamese activists, Trương Minh Đức, Nguyễn Trung Tôn, and Phạm Văn Trội, are being held incommunicado at B14 prison in Hà Nội after their arrests on 30 July 2017. They have a range of pre-existing health conditions that require treatment and face a sentence of up to life imprisonment or capital punishment. Trương Minh Đức, Nguyễn Trung Tôn, and Phạm Văn Trội are members of the Brotherhood for Democracy, a group formed by human rights lawyer Nguyễn Văn Đài in 2013 to peacefully advocate for democracy in Viet Nam. They were arrested separately on 30 July 2017 and are accused of “carrying out activities aimed at overthrowing the People’s Administration” under Article 79 of the 1999 Penal Code. The vaguely-worded offence,which falls under the overbroad “national security” section of the Code, provides for a sentence of up to life imprisonment or capital punishment.All three men suffer from pre-existing health conditions that require access to medication and medical care. Trương Minh Đức has a heart disease and high blood pressure. Following a stroke in mid-May, he needs daily access to a number of medications in order to safely control his condition and help prevent another stroke or a heart attack. Nguyễn Trung Tôn suffers from kidney and prostate problems for which he takes medication. In addition, he has badly injured knees after he was abducted and beaten by unknown men in February 2017. Phạm Văn Trội has stomach ulcers for which he takes medication. Although their wives have attempted to pass on medicine via prison authorities, they are unsure whether it has been delivered, since they have not been able to visit their husbands. – Pending their release, ensure that they are protected from torture and other ill-treatment and are allowed access to their family, a lawyer of their choice, and adequate medical care; and- Ensure an immediate end to the arbitrary arrests and harassment of members of the Brotherhood for Democracy and other activists who peacefully express their views. On the morning of 30 July 2017, Trương Minh Đức and his wife were stopped on a street in Hà Nội by Vietnamese officials in plain clothes and forcibly escorted to a local police station where an arrest warrant was read. The same morning Phạm Văn Trội and Nguyễn Trung Tôn were arrested by police at their homes in Hà Nội and Thanh Hoa province, respectively, where arrest warrants were also read out. A fourth individual, Nguyễn Bắc Truyển, was forcibly disappeared on the same morning (see https://www.amnesty.org/en/documents/asa41/6964/2017/en/%20for%20further%20information/). According to State-run media, all four men are alleged to have connections to human rights lawyer Nguyễn Văn Đài who was himself arrested in Hà Nội on 16 December 2015 and, along with his colleague Le Thu Ha, is charged with “committing propaganda” against the State under Article 88 of the Penal Code and “carrying out activities aimed at overthrowing the People’s Administration” under Article 79. Trương Minh Đức is a former journalist and prisoner of conscience. Prior to his arrest he worked as an administrator for the Brotherhood for Democracy and as an advocate in the Viet Labour movement, educating workers about their human rights. He was arrested in 2007 and imprisoned for five years after being convicted of “abusing democratic freedoms to infringe upon the interests of the State” under Article 258 of the Penal Code for reporting on land grabs in a number of Vietnamese publications. In May 2009, his detention was found to be arbitrary by the UN Working Group on Arbitrary Detention (Opinion 1/2009), however he remained in prison until the end of his sentence. Since his release from prison in 2012, authorities have frequently raided his home, making it difficult for his family to earn a living from renting spare rooms at the back of their property. His adult children have been repeatedly questioned by officials about his activities and he has been badly beaten on a number of occasions by men in plain clothes whom he recognized as security officials. Nguyễn Trung Tôn is a Protestant pastor and former prisoner of conscience who has written about and promoted freedom of religion in Viet Nam. He was arrested in January 2011 in connection with his writings and imprisoned for two years after being convicted of “conducting propaganda” against the State under Article 88 of the Penal Code. Nguyễn Trung Tôn and his family have been harassed for many years by authorities and unidentified assailants. Human waste, oil, and dirt have been thrown at both a market stall operated by his wife and their family home on a number of occasions. In February 2017, Nguyễn Trung Tôn and a friend were abducted in Quang Binh province by unidentified men and badly beaten. He was hospitalized and required surgery to repair injuries to his knees. Phạm Văn Trội is a writer, activist, and former prisoner of conscience. He has provided advice to workers and land grab victims and written about human rights and democracy. He was arrested in September 2008 for his writings promoting multi-party democracy and imprisoned for four years, including six months in solitary confinement, after being convicted of “conducting propaganda” against the State under Article 88 of the Penal Code. In May 2009, his detention was found to be arbitrary by the UN Working Group on Arbitrary Detention (Opinion 1/2009), however, he remained in prison until the end of his sentence. Viet Nam is in the midst of a sustained crackdown on human rights which has resulted in the arrest and arbitrary detention of at least fifteen peaceful activists and government critics since January 2017. Prison conditions in Viet Nam are harsh, with inadequate food and health care, falling far short of the minimum requirements set out in the UN Standard Minimum Rules for the Treatment of Prisoners (Nelson Mandela Rules) and other international standards. The Tibetan leader, draped in a silky, traditional loose coat, joined a group of monks in prayers with a single purpose: charting a path toward peace. 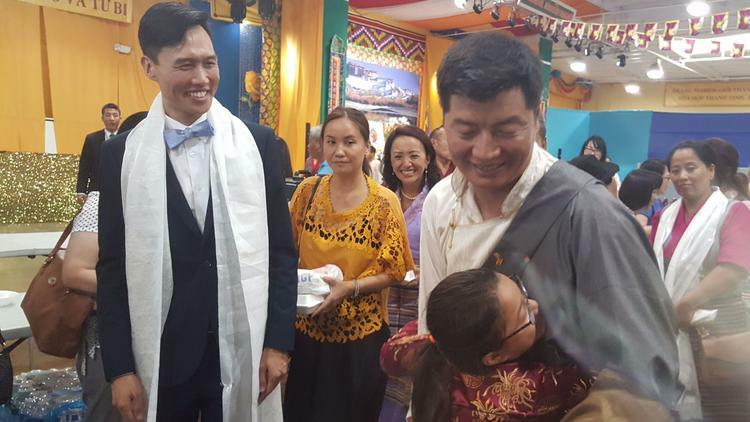 Near Lobsang Sangay, the Harvard-educated ruler of the Tibetan government in exile, stood Hoi Trinh, a Vietnamese and Australian lawyer lauded as an expert in international refugee law and policies. In an unprecedented gathering in Westminster to highlight human rights abuses, both Trinh and Sangay described themselves as men who come from nations “on the same journey,” whose people struggle under communist brutality but refuse to give up fighting for freedom. Basic human rights and freedom continue to be denied to 6 million Tibetans inside their homeland, exploited for its rich minerals under China’s control, and to 95 million Vietnamese in Vietnam, resulting in beatings, deaths, imprisonment without trials and self-immolations, they said. Even if Chinese leaders destroyed more than 90% of Tibet’s monasteries and nunneries after its takeover of their homeland in 1959, expatriate Tibetans working with the Dalai Lama, their spiritual leader, succeeded in spreading Buddhism back into Tibet and across the globe, Sangay said. New dharma centers that have opened in past decades around the world show the vitality and beauty of the religion, he added. “Your struggles are very similar to ours. We are in solidarity,” Sangay said, in a nod to listeners at the great hall of the Dieu Ngu Temple in Little Saigon. Almost every local Vietnamese American political figure — from members of the Garden Grove Unified School District board, to council members from Garden Grove, Fountain Valley and Westminster, to a county supervisor and state senator — made appearances to back the human rights campaign. Congressman Dana Rohrabacher (R-Costa Mesa), who has fought against the repression of Tibetans, sat in the front row, waving to immigrants as they held up their cellphones to capture him speaking. Two years ago, the Freedom House index listed Syria as the least free country in the world — with Tibet ranked No. 2. Trinh and Sangay attacked China as “the biggest bully,” with Trinh explaining that he preferred to move Saturday’s focus beyond human rights issues, which have been carefully documented by bloggers, the media or non-governmental organizations, to talking about solutions. Trinh asked people to train activists and provide financial support to groups fighting for human rights in Southeast Asia. “Don’t just listen, you must get involved,” Trinh urged. Many in the audience were left inspired by the speakers. Chog Tsering, a board member of the Tibetan Assn. of Southern California who helped organize Saturday’s event by partnering with the Vietnamese American Buddhist Congregation in the USA, agreed. 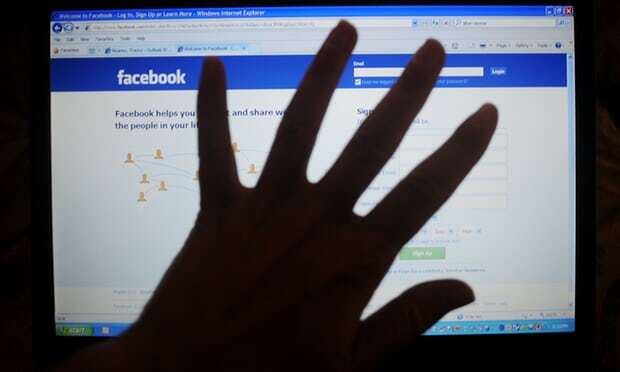 HANOI — The police in ­communist-led Vietnam have been cracking down especially hard on free expression over social media for the past few months. Or, at least as far as experts, regular users and dissident bloggers can tell, that seems to be the case. Vietnam doesn’t have the resources of its big neighbor to the north to maintain a “great firewall” or its own social media platforms. So Facebook and other global social networks are popular here. They are filled daily with all kinds of political speech, including quite direct attacks on the government. Vocal users wonder whether their output is being watched, and rumors swirl about shutdowns or hacking. It’s not clear to anyone on the Web here exactly what the rules are, leading some to question whether Vietnamese censorship is haphazard and counterproductive or part of a more considered strategy to create an efficient chilling effect. Those who take free speech too far risk harassment or arrest. But how far is too far? He was sitting in downtown Hanoi, at a self-declared ­“hipster” cafe decorated with tongue-in-cheek celebrations of the North Vietnamese communist forces that defeated the United States 40-some years ago. Downstairs, well-dressed Vietnamese youth clacked away on Apple products. There are many users, nonetheless, who have not been slowed by the uncertainty. This sentiment — you can probably say what you want, as long as you aren’t famous – can be heard often in Vietnam. But Beanland said that even if most of the arrests that get attention are of high-profile dissidents, there may be much more going on that does not make headlines. “It appears that there have been more arrests recently. But what we hear about may just be the tip of the iceberg,” she said. This year so far, Nguyen Ngoc Nhu Quynh, known as “Mother Mushroom,” and Tran Thi Nga, often called Thuy Nga, were given long sentences. Mother Mushroom got 10 years, while Thuy Nga got nine. Facebook is the social network most often used to express political opinions here, and for many other daily activities as well. New SIM cards in Vietnam often come bundled with free Facebook usage, and many citizens use its Messenger app in lieu of text messages. But it wasn’t always clear that Mark Zuckerberg’s company would play such an important role in the world’s 14th-largest country. Instead, the government has set up its own Facebook page, to keep the public in the loop on new policies or to live-stream monthly cabinet meetings. He proceeded to do exactly that. But censorship is not always a joke for Vietnam’s artists, who say they can have exhibitions shut down for reasons that are never explained to them. The surveillance extends to sports, as well. The dissident soccer team No-U FC plans the location of its weekly games — on Facebook — just before kickoff to avoid having cops show up to disrupt them. The team’s name is a rejection of the U-shaped delineation of China’s claim in the South China Sea. For dissidents, nationalist opposition to Chinese aggression is their biggest issue. Former prisoner of conscience, Nguyễn Bắc Truyển was last seen on 30 July 2017 after dropping off his wife outside her place of work in Ho Chi Minh City, Viet Nam. Although State media reported that he was arrested by authorities, more than three weeks later his wife has received no official confirmation from police as to the accusations against him or his place of detention. He is at risk of torture or other ill-treatment and has preexisting medical conditions that require treatment. On the same day that Nguyễn Bắc Truyển was forcibly disappeared, three other activists were formally arrested in the presence of one or more family members. The families of those activists have since been informed either verbally or in writing that the men are being held at B14 prison in Ha Noi. Despite requesting information from police, the family of Nguyễn Bắc Truyển have received no similar confirmation as to his whereabouts and they fear for his safety. Nguyễn Bắc Truyển suffers from heart and bowel conditions that could deteriorate if he does not have access to the medication he requires. A former prisoner of conscience, Nguyễn Bắc Truyển is a follower of Hòa Hảo Buddhism, a minority religious tradition centred primarily in the south of Viet Nam. He was arrested in 2006 and imprisoned for three and a half years after being convicted of “conducting propaganda” against the State for providing legal advice to land grab victims. On 24 February 2014, Nguyễn Bắc Truyển and his wife were pulled from a taxi in Ha Noi by men in plain clothes and severely beaten while on the way to the Australian embassy to discuss the harassment they had faced from police in Đồng Tháp province in the lead up to their wedding. His wife has recalled four other specific incidents in 2015 and 2016 when one or both of them were beaten or attacked by men in plain clothes. + Pending his release, ensure that Nguyễn Bắc Truyển is protected from torture and other ill-treatment and is allowed access to his family, a lawyer of his choice, and adequate medical care. Before his arrest, Nguyễn Bắc Truyển was working for a Christian church in Ho Chi Minh City, contributing to a charitable program that supports war veterans. He has monitored and reported on the harassment of religious minorities in Viet Nam and in 2014 he met with the UN Special Rapporteur on freedom of religion or belief during a country visit to Viet Nam. He has also provided legal advice to victims of land grabs and police harassment, and helped to facilitate charitable support to the families of prisoners of conscience. The three other activists that were arrested the same day as Nguyễn Bắc Truyển are Phạm Văn Trội, 45, from Ha Noi; Trương Minh Đức, 57, from Ho Chi Minh City; and Nguyễn Trung Tôn, 45, from Thanh Hoa province. Each of them has previously been imprisoned for their peaceful activities (see https://www.amnesty.org/en/documents/asa41/6855/2017/en/). A fifth individual, Nguyen Trung Truc, was arrested on 4 August 2017. According to State media, all five men are alleged to have connections to human rights lawyer Nguyễn Văn Đài who was himself arrested in Ha Noi on 16 December 2015 and, along with his colleague Le Thu Ha, is also accused of committing an offence under Article 79 of the Penal Code (see ASA 41/3098/2015 ). Although Hòa Hảo Buddhism is an officially recognized religion in Viet Nam, historically there has been tension between its adherents and the Communist Party of Viet Nam. Individuals and families who choose to practice the religion independently of State-sanctioned religious authorities often face harassment from authorities. Nguyễn Bắc Truyển is a former prisoner of conscience. He was arrested in November 2006 and imprisoned for three and a half years after being convicted of “conducting propaganda” against the State. According to his wife, Bui Thi Kim Phuong, he was accused of giving incorrect information to victims of land grabs, thereby turning them against the government. Nguyễn Bắc Truyển was released from prison in May 2010 but was briefly detained again on 9 February 2014 when police raided the home of Bui Thi Kim Phuong, his fiancée at the time, in Đồng Tháp province days before their planned wedding. He was accused of stealing money and property but was released after twenty-four hours. The accusations and investigation were later dropped due to lack of evidence, however uniformed and plain-clothed police continued to threaten and harass the couple and their family for the rest of the month, including by following them, throwing waste at the house and allegedly cutting the water supply. Viet Nam is in the midst of a sustained crackdown on human rights which has resulted in the arbitrary detention of at least fifteen activists and government critics since January 2017. Prisoners of conscience are routinely held for long periods of pretrial, incommunicado detention. Incommunicado detention can facilitate torture and other cruel, inhuman or degrading treatment and when prolonged can itself amount to such practices. In addition, the right to promptly communicate with a lawyer and prepare a defence, an essential part of the right to a fair trial, is denied. Both the prohibition against torture and other illtreatment and the right to a fair trial are provided in treaties that Viet Nam, as a state party, is legally obliged to abide by, including the International Covenant on Civil and Political Rights (ICCPR) and the United Nations Convention against Torture and Other Cruel, Inhuman or Degrading Treatment or Punishment. Prison conditions in Viet Nam are harsh, with inadequate food and health care, falling far short of the minimum requirements set out in the UN Standard Minimum Rules for the Treatment of Prisoners (Nelson Mandela Rules) and other international standards. Prisoners of conscience have been held in solitary confinement as a punishment for prolonged periods. For more information see the Amnesty International report, issued in July 2016: “Prisons Within Prisons: Torture and Ill-treatment of Prisoners of Conscience in Viet Nam”, https://www.amnesty.org/en/documents/asa41/4187/2016/en/. Joshua Wong is a free man, and a very young one, when he arrives Wednesday afternoon in front of a plaza in Hong Kong that he calls Citizen’s Square. But he may not be free for much longer. On Thursday, the 20-year-old faces a prison sentence for kicking off massive pro-democracy protests here three years ago. “I am not really ready for it,” he told TIME in an exclusive interview. On Sept. 26, 2014, Wong and a small crowd of fellow student activists stormed the forecourt of Hong Kong’s government headquarters to oppose what they viewed as political and social encroachment by China. Originally an open plaza, the forecourt was fenced off in 2014 to prevent protesters, from democracy activists to land rights campaigners, from assembling there. That night, Wong and others were pepper-sprayed amid scuffles with police, and at least a dozen students were arrested. Two days later , partly in response to clashes at the forecourt — which protesters began calling “Civic Square” or “Citizens’ Square” — tens of thousands of mostly young people flooded the Central and Admiralty neighborhoods, Hong Kong’s seats of power. There, they vastly swelled already-planned protests against Chinese interference in Hong Kong elections, and stayed on the streets for 79 days of mostly peaceful occupation. Wong’s remarkable role in the protests is the subject of the Netflix documentary Joshua: Teenager vs. Superpower. Of all the events that made the movement that was later dubbed the Umbrella Revolution, it was this first act that may haunt Wong. On Aug. 19, 2015, he and two of his peers, with whom he founded the political party Demosistō, were charged with unlawful assembly and inciting unrest for their role in storming the government forecourt. They were convicted on July 20, 2016 and sentenced to 80 hours of community service. On Thursday , Wong, along with Nathan Law, 23, and Alex Chow, 26, face a judicial panel that has been asked by prosecutors to imprison them on the grounds that their sentence was too lenient and sent the wrong message to other activists. In September last year, Law became, at 23, the youngest lawmaker ever elected to Hong Kong’s legislature, but he was ousted by pro-Beijing colleagues over claims that he disrespected China during his oath-taking ceremony. If he is imprisoned for more than three months, he will be legally disqualified from running for political office for five years — as will Wong and Chow. That the courts have even agreed to reassess the trio’s sentences after they have already been dealt and served has sounded alarm bells that China, of which Hong Kong is a semi-autonomous territory, may be putting pressure on what has long been cherished as an independent judiciary. 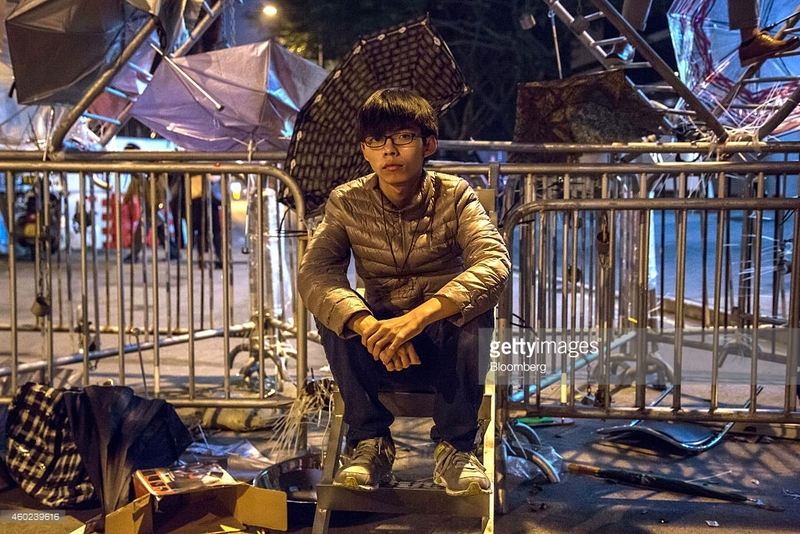 On Wednesday, an anxious but resolute Wong met with TIME outside the very same plaza he stormed three years ago. With less than 24 hours before the judges’ decision, he spoke candidly about his belief that he has become a target of political prosecution, his goal of a democratic and self-ruling Hong Kong, and his hopes that his hometown will stand its ground to remain what he calls the freest territory of China. His interview has been edited for length and clarity. The court is about to revisit its punishment for your role in the events of Sept. 26, 2014, when you and other student activists stormed the forecourt at government headquarters. Could you also revisit those events for us? Three years ago, we organized an action to reclaim Citizens’ Square and to ask for free elections and democracy in Hong Kong. We were against the interference of the Communist Party of China. Today we’re facing a verdict that comes from the Chinese government. They will probably send me to prison for more than half a year. What I want the international community to realize is that Hong Kong is already under authoritarian rule. This is a long-term battle, and we ask for long-term support. Hong Kong is now under threat. Looking back on that action, is there anything you would have done differently if you could do it over? I have no regrets at all. We were against patriotic education [an attempt by local authorities to impose a pro-Beijing curriculum on local schools], which is why we took the square. Three years ago, the government set up a barrier to block our freedom of assembly. So we organized an action to reclaim the square to remind people that it’s time to take back their rights. This was the first place I was arrested, and it’s the reason I will be sent to prison, but I do not regret it at all and I will still keep fighting for democracy. Given that you’ve already served a sentence for this case, and given that revising the sentence would legally derail your stated aim of running for political office, do you view the appeal on your sentencing as a political act? Last summer I was sentenced to 80 hours of community service — tomorrow [Thursday] I will face nearly a year-long sentence with immediate imprisonment. It just proves that the Hong Kong courts just obey China. This is meant to be a threat. If imprisoned, many will view you and your colleagues as Hong Kong’s first political prisoners. What does this say about the independence of Hong Kong’s judiciary, which you have referred to as one of the “core values” of the territory? Judicial independence is under threat because of the Department of Justice’s loyalty to China. I hope people will realize that. One decade ago, people described Hong Kong as a place without democracy but with rule of law. Now Hong Kong has already transformed into an authoritarian regime. We won’t be the first political prisoners in Hong Kong [on Tuesday, the courts sentenced 13 activists to jail terms of 8 and 13 months for storming the legislature on a protest over rural development projects]. We’re just the first from the Umbrella Movement. The government reviewed this case against us because they hope to send us to prison and block our chances of running in elections. I believe the Department of Justice is reviewing my sentence because they hope I don’t run in an election. Do you view Hong Kong as a barometer of freedom elsewhere in Asia, and do you view the way you’re being treated as an omen for democratic norms and rule of law in the broader region? Hong Kong is the city with the highest degree of freedom of all the Chinese territories. In the Asia Pacific, I think Hong Kong should be in the spotlight to make people realize that [China] is still violating human rights. I hope the experience of Hong Kong will urge global solidarity and make people care about Hong Kong. Now it’s a place where youngsters — like her or him or me [gestures at passersby] — are sent to prison. What impact do you think your experience with the courts will have on the many young people in Hong Kong and elsewhere that have become more politically active in recent years? In the past few years there has been an uprising, a new political awareness among my generation. However, political prosecutions and sentences are increasing. We are in a time of darkness for my hometown. But in a dark era like this, with the repression of the Beijing regime, youngsters must fight on the front line to ask for democracy. I just want to say that if Nathan, Alex and I are in prison, and we cannot stand on the front line, there’s no reason for anyone else to take a step backwards. It’s safe to say that most observers predict that you are going to prison. You’re only 20 years old. Are you afraid? I am not really ready for it. And when, after I have been sent to prison, I can only meet my parents twice per month for half an hour. I will miss them, and I will miss my home. No one wants to be sent to prison, including me. I’m tired, and I’m scared, but I will still keep on fighting. On 30 July 2017, Vietnamese authorities arrested four activists in Ha Noi, Ho Chi Minh City, and Thanh Hoa province. They are Nguyễn Trung Tôn, 45, a Protestant pastor from Thanh Hoa province; Phạm Văn Trội, 45, from Hanoi; Trương Minh Đức, 57, from Ho Chi Minh City; and Nguyễn Bắc Truyển, 49, from Ho Chi Minh City. Each of the four, all men, has previously been imprisoned for his peaceful activities. The four are prisoners of conscience, having been deprived of their liberty solely for peacefully exercising their human rights to freedom of expression and association. Amnesty International calls on the Vietnamese authorities to release all four immediately and unconditionally, release all other prisoners of conscience and end its policy of intimidating, arresting and punishing peaceful activists. The four activists have been accused of “carrying out activities aimed at overthrowing the People’s Administration” under Article 79 of the 1999 Penal Code. The offence, which falls under the vaguely worded “national security” section of the Code, provides for a sentence of up to life imprisonment or capital punishment. The arrests are part of an intensifying crackdown on the peaceful exercise of the rights to freedom of expression, assembly, and association in Viet Nam that has seen lengthy prison sentences handed down to two prominent human rights defenders in the last five weeks. Prior to the most recent arrests, at least seven other activists had been arrested in the last six months. The four men arrested on Sunday are alleged to have connections to human rights lawyer Nguyễn Văn Đài who was himself arrested in Ha Noi on 16 December 2015 and has, along with his colleague Le Thu Ha, been detained without trial for more than 18 months. Both Nguyễn Văn Đài and Le Thu Ha were initially accused of “conducting propaganda” against the state under Article 88 of the 1999 Penal Code. However, according to Vietnamese police and state-controlled media, Nguyễn Văn Đài and Le Thu Ha are now accused of committing an offence under Article 79 along with those recently arrested. Nguyễn Văn Đài is a well-known human rights lawyer. In 2006 he founded the Committee for Human Rights in Viet Nam – now called the Vietnam Human Rights Centre – and was one of the original signatories to an online petition calling for freedom and democracy in Viet Nam, which garnered the support of thousands. Between 2007 and 2011, Nguyễn Văn Đài served four years in prison after being convicted of “conducting propaganda” against the state. In April 2013, he founded the Brotherhood for Democracy, envisioned as a coordinated and collective movement for achieving democracy in Viet Nam. Pastor Nguyễn Trung Tôn has written about freedom of religion and corruption in Viet Nam. He was arrested in January 2011 and convicted of “conducting propaganda” against the state, serving a sentence of two years’ imprisonment. Phạm Văn Trội was arrested in September 2008 for unfurling banners, distributing leaflets, posting information on the internet criticizing government policies, and calling for democracy in Viet Nam. In October 2010 he was convicted of “conducting propaganda” against the state and served a sentence of four years’ imprisonment. Journalist and labour rights activist Trương Minh Đức has written about corruption and abuse of authority in Viet Nam. He was arrested in May 2007 and in March 2008 was convicted of “abusing democratic freedoms to infringe upon the interests of the state” under Article 258 of the Penal Code, serving a sentence of five years’ imprisonment. Nguyễn Bắc Truyển is a human rights lawyer who in 2007 was convicted of “conducting propaganda” against the state and sentenced to three and a half years’ imprisonment. Since his release in May 2010, he has been a vocal member of an association of former prisoners of conscience. Viet Nam is in the midst of a sustained crackdown on human rights. In the last five weeks, two prominent human rights defenders were convicted of “conducting propaganda” against the state and sentenced to lengthy prison sentences. 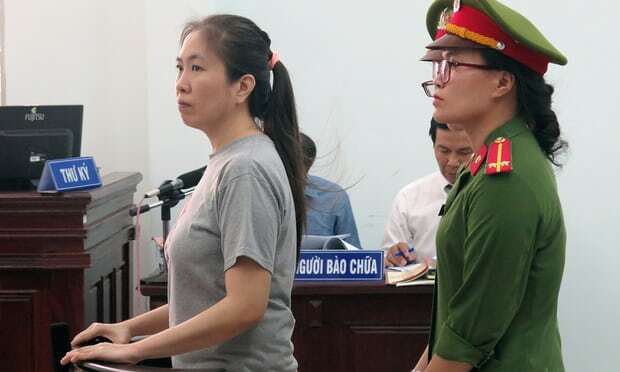 On 29 June 2017, Nguyễn Ngọc Như Quỳnh, also known by her blogging pseudonym, Mẹ Nấm (Mother Mushroom), was sentenced to 10 years’ imprisonment for her activities on Facebook and other social media, including writing, uploading and sharing articles and video content critical of the ruling Communist Party of Viet Nam and the state. On 25 July 2017, Trần Thị Nga was sentenced to nine years’ imprisonment for “posting video clips and documents containing anti-state propaganda on the internet”. The videos related to issues such as pollution of the environment and corruption. Both decisions have received widespread international coverage and been condemned by local and international human rights groups, United Nations human rights experts, and diplomatic representatives of the United States and the European Union in Vietnam. 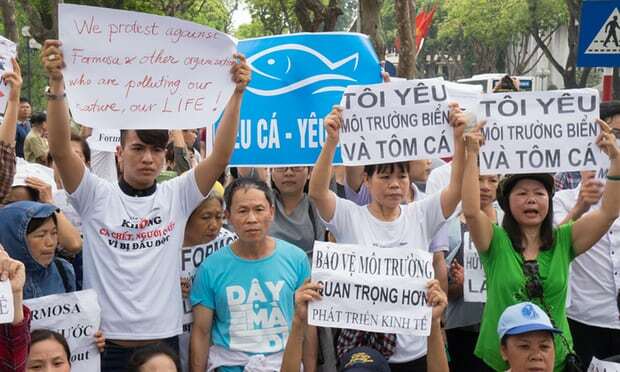 Both Trần Thị Nga and Nguyễn Ngọc Như Quỳnh had raised concerns about the authorities’ response to the 2016 Formosa environmental disaster, which severely affected fish stocks in several Vietnamese provinces. The incident has impacted the livelihoods of up to 270,000 people and led to sustained activism and protests across the country on a scale rarely seen. Others who have recently been arrested include Trần Hoàng Phúc, a 23-year-old activist arrested on 3 July under Article 88 of the Penal Code for allegedly posting material critical of the government on social media and Lê Đình Lượng, a political dissident who was arrested on 24 July under Article 79 of the Penal Code. At least five other activists arrested since November 2016 are currently held in incommunicado pre-trial detention. Incommunicado detention can facilitate torture and other cruel, inhuman or degrading treatment or punishment and when prolonged can itself amount to such practices. In addition, the right to promptly communicate with a lawyer and prepare a defence is an essential part of the right to a fair trial. Both the prohibition against torture and other ill-treatment and the right to a fair trial are provided in treaties that Viet Nam, as a state party, is legally obliged to abide by, including the International Covenant on Civil and Political Rights (ICCPR) and the United Nations Convention against Torture and Other Cruel, Inhuman or Degrading Treatment or Punishment. The ICCPR also protects the right to freedom of opinion and expression (Article 19), peaceful assembly (Article 21), and association (Article 22). It also protects the right to liberty and security of a person, which includes the right to not be subjected to arbitrary arrest and detention (Article 9). Amnesty International urges the Vietnamese authorities to comply with Viet Nam’s human rights obligations, and drop all charges against those who have been peacefully carrying out activities to promote and protect human rights and/or peacefully exercising their right to freedom of expression, opinion or belief, assembly, and/or association. The international community must condemn, in the strongest possible terms, the current crackdown on human rights in Viet Nam, and advocate for the immediate release of all prisoners of conscience. BACKGROUND Amnesty International has documented information on at least 90 persons currently deprived of liberty whom the organization considers prisoners of conscience, including bloggers, labour and land rights activists, political activists, ethnic and religious minorities, and advocates for human rights and social justice who have been convicted solely for peacefully exercising their human rights. In many of these cases there have been concerns about unfair trials, incommunicado detention, and torture and ill-treatment of those detained. Prison conditions in Viet Nam are harsh, with inadequate food and health care that falls short of the minimum requirements set out in the UN Standard Minimum Rules for the Treatment of Prisoners (Nelson Mandela Rules) and other international standards. Treatment of prisoners of conscience has been documented by Amnesty International in a report, Prisons within prisons: Torture and ill-treatment of prisoners of conscience in Viet Nam , July 2016, available at https://www.amnesty.org/en/documents/asa41/4187/2016/en/. The Diplomat: What’s Behind Vietnam’s Rising Violence? The rise of physical violence committed against activists is a troubling trend. A recent report by Human Rights Watch, “No Country for Human Rights Activists: Assaults on Bloggers and Democracy Campaigners in Vietnam”, documents the rise of physical violence committed against activists, mainly by plain-clothed “thugs,” some of whom may be police or soldiers, and most of whom target their victims in very public place. [They] took our belongings, stripped our clothes off, covered our heads with our jackets and beat us repeatedly with iron tubes. They did not tell us any reason. The van moved and they continued to beat us [in the van]. There was a driver and at least six other men. Four young men, like four water buffalo, blocked our motorbike. They grabbed me by my neck and threw me on the ground. They beat me until I fainted. They kicked me in the face – look at my [bruised] face. They kicked me in the face. They kicked me and beat me until I fainted. In 2014, during an especially contentious phase of negotiations over the Trans-Pacific Partnership between Vietnam and the United States, the number of people convicted for political crimes in Vietnam decreased to 31. However, according to the Association of Former Prisoners of Conscience, the number of physical attacks increased to at least 31 incidents targeting 135 rights bloggers and activists. In 2015, the number of reported convictions continued to decrease, with only seven activists convicted throughout the year. On the other hand, according to research by Human Rights Watch, roughly 50 bloggers and activists reported that they were assaulted in 20 separate incidents. In 2016, at least 21 rights campaigners were convicted while at least 20 physical assaults were carried out against more than 50 people. “Marxism needs a dictator,” according to the late Russian-American literary giant Vladimir Nabokov, “and a dictator needs a secret police”. The secret police in Vietnam, however, is hardly that secret. In 2013, Carl Thayer, then of the Australian Defense Forces Academy, estimated as many as 6.7 million Vietnamese work in some fashion for the country’s numerous security agencies – so about one in six people. In 2015, when I met Pham Chi Dung, an activist who founded the Independent Journalistic Association of Vietnam, and who worked for the Ho Chi Minh City’s security bureau for sixteen years before becoming disillusioned, he knew that two security agents had followed him from his house to our café rendezvous. And he knew they would follow him home again. (He was arrested once again a few months after we met). The use of paid (one assumes) bullies to attack activists, however, is different from the use of security agents to spy on or arrest dissidents. When an activist is threatened by the police or military, at least he recognizes his attacker. The uniform reveals all. People know who is his attacker and for whom his attacker works. As a result, he understands the message that comes from up-high; we want to cripple all activism. In a sense, then, some credit must go to a government that sends its police or military to do its dirty work; at least it’s being honest about its motives. The use of plain-clothed attackers is different. It’s dishonest. It’s cowardly. The removal of a police or military uniform (if that is the case) before an attack is an effort to distance the boss from the violence. Not only that, it is an attempt to say: the regime isn’t against activists, fellow citizens are. Because of this, a corollary is necessary to the view of Human Rights Watch; the use of plain-clothed thugs isn’t just an effort to “sow fear and uncertainty among activists” but, as well, to sow fear and uncertainty among those who might become activists. For the secret police to arrest an activist is to silence that critic. For the police or military to beat an activist is to demonstrate that the regime won’t put up with criticism. But for a plain-clothed thug to attack an activist is to publicly humiliate that activist. Indeed, an imprisoned activist is removed from society; a beaten activist is forced to show his scars to all, perhaps a more effective deterrent. A detained activist, also, often inspires more activism; his or her release becomes a motivating reason for protest. The fact that friends and family are often targeted in the attacks, as the Human Rights Watch report makes clear, also changes the game. Every committed activist has considered their own imprisonment. But violence against one’s family compels a different response. Self-sacrifice is one thing but having to also sacrifice your family makes a person think again about continuing. The changing tactics of the Vietnamese regime no doubt reflect changes in the pro-democracy, human rights movement. Social media, the modern-day samizdat, has become almost impossible for the regime to censor as it would like. Activists have also become more emboldened, willing to protest and demonstrate publicly. And with closer ties to the United States and the European Union (which agreed to an important free-trade agreement that will probably take effect next year) the risk of irking these partners is potentially too important economically. Plain-clothed thugs, therefore, provide some distance between the regime and the violence. Moreover, the rights-movement is simply much stronger than it once was. As I have written before, the growth in environmental activism has coalesced disjointed parties: middle-class urbanites and poor rural farmers, democrats and nationalists, have been united under the banner of they all have a stake in. (The fact that some of the attacks were committed while activists were visiting one another was most likely intended to show the dangers of solidarity.) This is unprecedented in modern Vietnamese history, and the regime knows it. One of Vietnam’s most influential political bloggers, given a courage award by Melania Trump, faces a decade behind bars for her ‘reactionary’ work. They are the words of one of Vietnam’s most influential bloggers — known by her online pseudonym, Mother Mushroom — minutes before she was handed the shock sentence of a decade in prison. Nguyen Ngoc Nhu Quynh directed her defiant comments at her 61-year-old mother, who was watching a live feed in a room next door as she was not allow into the courtroom. The 37-year-old was accused of defaming Vietnam’s communist regime in her blogs and interviews with foreign media. “I clapped my hands in the room, where 20 security officials looked at me with very angry eyes, but I was not afraid; I was OK, very proud of her,” said Nguyen Thi Tuyet Lan. Arrested in October while attempting to visit another dissident in prison, Quynh, 37, has already spent nine months behind bars, in what her lawyer said were desperate conditions. She subsisted only on a diet of anchovies and spinach soup for the first seven months, and was denied both sanitary pads and underwear, Vo An Don said. After Quynh was arrested on 10 October, her mother heard nothing about her whereabouts or wellbeing until a brief reunion in prison hours before her 29 June trial for crimes against the state. The months had taken their toll on her daughter, Lan told the Guardian in a phone interview from her home in the southern coastal city of Nha Trang. Quynh appeared sickly during their meeting, she said. “I said: ‘My dear daughter, now I believe you are still alive.’ But she looked weak with very pale skin,” she added. Vietnam is infamous for its limits on freedom of expression, yet Mother Mushroom’s detention and unusually lengthy sentence raised fresh alarm among the country’s blogging community, which avoids the censorship of state-control print media. The US state department quickly called for all prisoners of conscience to be released immediately. While Quynh has been branded a “reactionary” by the state for her anti-government blogging, her friends and family defend her as a champion of free expression in a country where dissent against single-party rule is outlawed. “My daughter has done a normal thing in an abnormal society, so she has to pay the price of prison and being denounced,” Lan said. Quynh rose to fame in Vietnam’s blogosphere in the late 2000s for her doggedly independent citizen journalism. A founding member of the underground Vietnamese Bloggers Network, she is especially passionate about environmentalism, police brutality and Vietnam’s dispute with China over control of the South China Sea. Lan said her daughter’s political awakening began after studying foreign languages in university. Upon discovering the pluralistic online world, Quynh came to her mother with difficult questions. “She asked me: ‘Mum, do you know this or that [about the government]?’ I said I did, she questioned me, ‘Why didn’t you tell me?’” recalled Lan. Quynh has since become a prominent figure outside Vietnam, and has championed efforts in Vietnamese civil society to hold political discussions on Facebook. 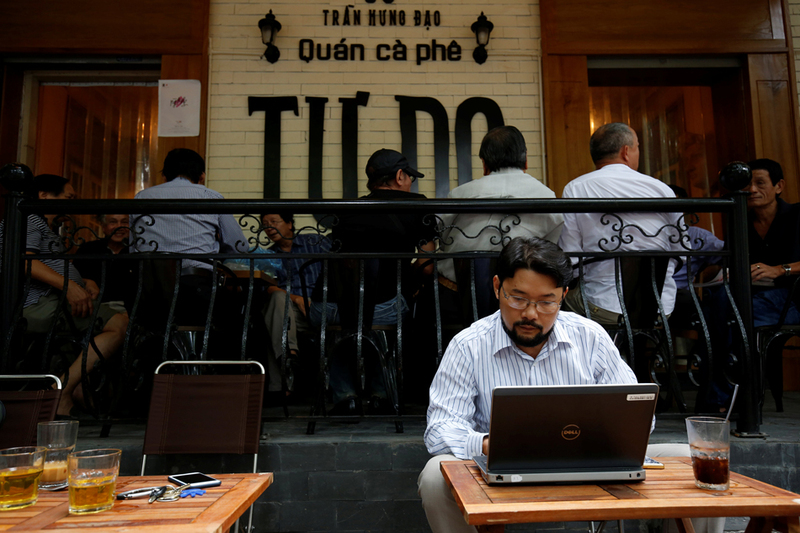 The government has become so angered by the movement that it has called on all companies in Vietnam to stop advertising on YouTube and Facebook. In March the US first lady, Melania Trump, awarded Quynh the International Women of Courage Award, which Vietnam said “was not appropriate and of no benefit to the development of the relations between the two countries”. Quynh’s friends described her as frank and hot-tempered but true to her word. “She always spoke out what she was thinking, so that’s why it’s not good for her when she caused trouble with such a personality, but she was a person who always does what she says she will,” said Trinh Kim Tien, a 27-year-old Ho Chi Minh City-based activist. Quynh’s last posts on Facebook, her favoured blogging medium before her detention, were a combination of repostings of articles by other activists and brief, poetic, biting attacks on the state. “What kind of a society is it where people responsible for their [high] positions, where the officials consider the citizens more stupid than pigs?” she wrote on 29 September. Phil Robertson, deputy Asia director for the New York-based Human Rights Watch, said her involvement in protests against the Taiwanese-owned Formosa Ha Tinh Steel plant in north-central Vietnam, which was linked to a catastrophic fish die-off in 2016, was the last straw for the authorities. “Mother Mushroom’s prominent ties to the anti-Formosa movement, which the government is increasingly viewing as a security challenge to its authority, means she became the ideal candidate for a heavy sentence designed to sideline her and intimidate others,” Robertson said. Human Rights Watch says there are about 110 known political prisoners in Vietnam, although the country denies holding any. Speaking at a press conference on the day of the trial, foreign affairs ministry spokesperson Le Thi Thu Hang said “all violations of laws must be extremely punished in accordance with the laws of Vietnam”. Pham Than Nghien, a friend of Quynh whose own blogging led to her being imprisoned from 2008 to 2012, said she cried when the verdict was delivered. “While I wasn’t astonished because she had committed many crimes according to the regime … I could feel my hands and legs shiver,” she said. Quynh’s mother, Lan, is now tasked with raising her two grandchildren while their mother remains in prison. Unless the state grants Quynh clemency the children will grow up parentless. “I feel empty now,” Lan said.